The United States Export-Import Bank has authorized a $343.3 million direct loan to a Hong Kong-based communications company that is partly controlled by the Chinese government so that it can buy two American-made satellites. The communications company, Asia Satellite Telecommunications Company Limited (AsiaSat), will buy two communications satellites from Space Systems/Loral LLC (SSL), a California-based satellite manufacturer, according to a Monday press release from the bank. The deal between AsiaSat and SSL was finalized back in November 2011, although it has taken until now for the Export-Import Bank (Ex-Im) to complete the financing, said Wendy Lewis, SSL’s director of communications. The deal raises the possibility that the Chinese military could divert the American-made satellites from civilian use. 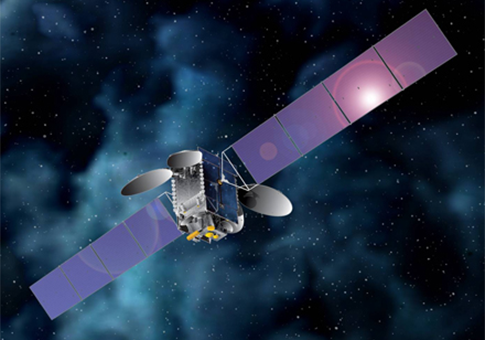 The majority of AsiaSat is owned by a joint venture between General Electric (GE) and CITIC, which is a Chinese state-owned conglomerate. "CITIC … was established in 1979 by Comrade Rong Yiren with the initiation and support by Comrade Deng Xiaoping," China’s leader after the death of Mao Zedong, CITIC’s website states. It is still state-controlled today. CITIC and GE together control Bowenvale Limited, which is incorporated in the British Virgin Islands, according to AsiaSat’s most recent annual report. Bowenvale holds about 75 percent of AsiaSat’s stock, and GE and CITIC can each appoint four members to AsiaSat’s 14-member board. Ju Wei Min is listed as AsiaSat’s chairman. Until 2011, Ju was the vice president of CITIC Limited. At the time of the report he held high management positions in several other subsidiaries of CITIC. United States intelligence reports have indicated that China’s People’s Liberation Army (PLA) has used AsiaSat communications satellites in the past, the Washington Free Beacon reported last year. When asked if SSL’s satellites could be diverted for military use, Lewis responded, "Absolutely not." "Satellites that are used for military communications have very specific kinds of payloads, and these wouldn’t be used that way," she said. However, when pressed if she was confident the satellites could not be used, she backed off. "I don’t know the technical details," she said. Technical experts at SSL were not available to comment on the capabilities of the satellites, she said. A spokeswoman for AsiaSat did not deny that the Chinese government has used and could use again AsiaSat’s satellites. "AsiaSat provides transponder capacity to various governments to establish secure and reliable communications network for public utilities and services including meteorology, water supply, railway and civil aviation. AsiaSat also serves governments and agencies for public service especially in instances of emergency and natural disaster relief," said Winnie Pang, AsiaSat’s spokeswoman. "Both AsiaSat 6 and AsiaSat 8," the two SSL-made satellites, "are communications satellites, designed to support a wide range of broadcast, telecommunications and broadband applications in the Asia-Pacific region," Pang said. Lewis noted that AsiaSat is a "long-term customer" of SSL’s. The U.S. government banned the sale of all military items to China after the 1989 Tiananmen Square massacre. A 1999 law reclassified the export of civilian satellites as military items, requiring the State Department to approve all export sales. The State Department notified congressional leaders in 2012 that it was approving the SSL’s sale of two satellites to AsiaSat. Up until late last year, AsiaSat was broadcasting the Iranian regime’s state-run television stations over its satellites. AsiaSat stopped doing business with the Iranian regime on Nov. 15, 2012. Congress passed legislation banning all Americans from doing business with Iran. President Barack Obama signed the bill on Aug. 10, 2012, and the sanctions came into effect on Feb. 6, 2013. SSL has run afoul of American sanctions against China before. It illegally aided the development of Chinese rockets in the mid 1990s, and in 2002 the company paid the State Department a $20 million fine to settle the charges. Ex-Im hailed the deal as supporting "approximately 2,400 U.S. jobs" and as a sign of the bank’s growing support for the satellite industry. "Ex-Im's satellite financing is its fastest-growing portfolio. In Fiscal Year 2013 to date, the Bank has authorized $891 million in support of U.S. satellites and related services. Ex-Im Bank has financed approximately 60 percent of U.S. commercial satellite sales in the last three years," the bank said in its statement announcing the deal. Ex-Im provides financial support, typically in the form of a loan guarantee or a direct loan, to help American businesses export their products. All bank financing must support American jobs, according to the bank’s charter. The bank has been criticized in the past for extending financing to politically connected companies and for unnecessary meddling in the market. According to its charter, Ex-Im can only provide financing when the private credit market will not sustain a transaction or when American companies are competing against foreign companies with financial help from their governments. Ex-Im spokesman Phil Cogan said Ex-Im’s involvement was necessary because AsiaSat received competing offers from companies that had the backing of the French export-credit agency. "Ex-Im Bank’s loan helped to bridge the long-term financing gap and level the playing field against foreign competition for the principal U.S. exporters involved," Cogan said. Cogan also said that the U.S. government fully vetted the deal for any national security concerns. "The satellites in this transaction, AsiaSat 6 and AsiaSat 8, are communications satellites that will be used for commercial communications purposes only. The transaction was thoroughly reviewed, including consideration of possible security concerns," he said. "Ex-Im’s decision to approve the loan to AsiaSat was based on the need for Ex-Im’s financing to support the U.S. satellite-industry exporters against foreign competition and on the creditworthiness of the transaction," Cogan said. This entry was posted in National Security, Politics and tagged China, Ex-Im Bank, Federal Bureaucracy, General Electric, Obama Administration, Obama Economy. Bookmark the permalink.